Claiming that Armando Gallo is a photographer is an understatement. He’s also a journalist, a writer and, like it or not, a living legend. The main reason why I write this is that I’ve known him for almost 30 years and we are still making plans, for some reason, after going through so many changes in life that one can’t count. This is, I believe, because we were the most loyal of friends even when we didn’t have a chance to speak for long. But then we would meet up again somehow, and it felt like we had talked the day before. The excuse to write now is twofold, instead: his latest release, namely an ipad App about the band Genesis called “I Know What I Like”, and my involvement in it. Before I get into this, I need to tell you a story so you may have an idea of how this guy is. Back in 1986 (I was 21 at the time, two years before my graduation in physics) I read in a magazine that Armando had released a book on Peter Gabriel. I was an avid fan of the artist, and I knew Armando’s work well from records and magazines. A book from him was a guarantee, period. Curiously, the book appeared to be a DIY sort of thing as it was available through mail-order only. I wrote a letter to the address listed at the bottom of the page and soon received the instructions to actually purchase the book. In my letter I mentioned that I was trying to get my music heard, and Armando invited me to send him a cassette. Yes, we still used those plastic contraptions, at the time. I did. A few days later the phone rang in my parents’ home. Funny as it may seem now, I picked it up unwillingly because I was 100% sure the call was from my girlfriend, whom I was having a bad period with. Nope: a male voice with a strong Roman accent said “pronto?” and added “sono Armando Gallo”. I almost dropped the phone, because he was one of my heroes. I had spent dozens of hours studying his translations of the Genesis lyrics and I can surely claim that my first real encounter with the English language passed through the intricate puns of Peter Gabriel and Armando’s renditions. I must have been 13 at the time and I was forever hooked. He was very appreciative of my music, and told me he’d make a diversion during one of his trips to come and see me. He did. 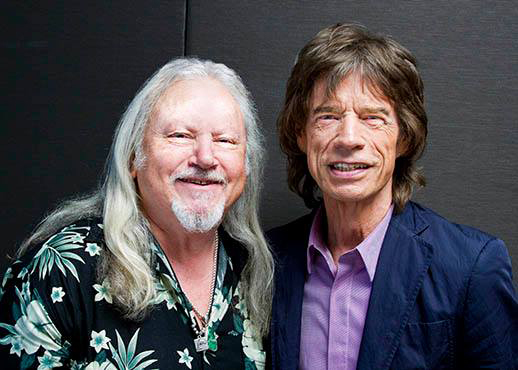 We talked a lot on that day and he gave me some sound advice (like “listen to Peter Hammill…“, an artist who changed my view on music and inspired some of my most radical professional decisions) and we remained in touch. Actually, we’ve been in touch ever since: maybe not talking for three years, but always available for one another at either end of the line. After all, he now lives in Los Angeles and his work is in Hollywood: he’s one of the voting members for the Golden Globe Award, so go figure. 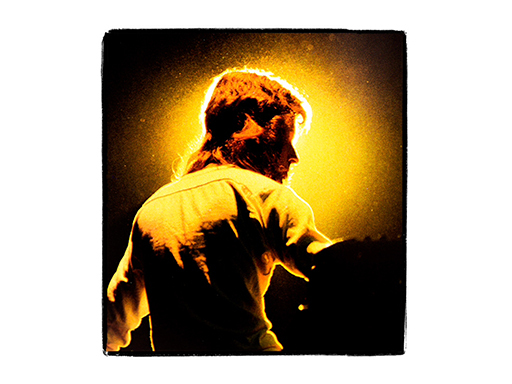 Peter Gabriel’s “So” App icon. A few months ago, one evening he called me from London on Skype, out of the blue. 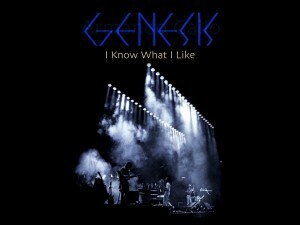 He told me he was about to close “I Know What I Like”, the Genesis App. He had already published the marvelous “So” App celebrating the 25th anniversary of Peter Gabriel’s most successful album. I was quite surprised when he told me he was on the hunt for some additional music which, in his intention, should become the backdrop for some of the pages in the new App. His question whether I was interested in participating had more or less as obvious a reply as the question whether the Pope is catholic or not. There is nothing as good as making music without expectations and without any money involved: away from the intricacies of record labels, endless promises that “the check is in the mail” and so on. One of Armando’s iconic photographs is now accompanied by my music in the App. A short modal fragment had been hanging around in my head for a while. The next evening I fired up my gear and recorded it in Pro Tools in three passes, first take. It was March 8th, my son’s Simone 6th birthday. So I named the track “S.Now”, not necessarily meaning “Snow”. On March 21st I got a short e-mail: “We used it man… Beautiful… on a page that shows only one portrait of TBanks from behind the keys.” I was quite surprised that my fragment had made it to the final stage of the App. In case you wonder, it can be heard on page 187. At the time I couldn’t know, but the App in itself is absolutely outstanding: it is not simply the reissue of Armando’s landmark book “I Know What I Like”: it goes far beyond. It is a pleasure to read and watch, and the iPad technology is exploited at its best. The collaboration that brought it to life is centered around Gabriel Foux and his Zentric company who took on the task of programming and putting everything together. A daunting task: you have to see it to believe. Oo’s that bloke next to me friend? If, in spite of this, you still wonder what this interview has to do with a blog named MOonPHOTOSHOP, I’ll tell you the bare truth. In a nutshell: I wouldn’t have discovered Genesis without Armando’s translations of their lyrics, and I probably wouldn’t have tried to become a musician without Genesis. If Armando hadn’t pushed me in 1986, I wouldn’t have met Peter Hammill in 1990. Without Peter’s inspiration, I wouldn’t have left my job at the University of Trento to attempt (and somehow succeed) in a music career as a sound engineer and producer. Thus, I wouldn’t have started my first company, Sonica Studios, and I wouldn’t have started producing CDs for others. Without CDs, and later DVDs, I wouldn’t have made artwork. Without artwork, I wouldn’t probably have needed to connect to commercial printers. Without the poor results I kept on seeing on printed paper and the ensuing questions, I wouldn’t have researched much into color correction – an old interest of mine. Without those problems, I wouldn’t have met Dan Margulis’ books and his courses. Without his courses, teachings and endless support, I wouldn’t have switched my career from what it was to what it is now. Without such switch, I wouldn’t be running this blog. Without this blog, I wouldn’t be writing this. Enough, I think. This wasn’t planned, but it took me a long time to transcribe the enormous amount of information. I finished today, October 11th. It is, incidentally, my mother’s birthday; and it is exactly seven years since I bought my first Dan Margulis’ book in a bookstore in London, which was a stone’s throw away from most of the places the interview mentions. This goes to the core of everything that really interested me in my life. Call it serendipity, call it whatever you want – this is it. The bottom line is that I’ve actively tried to shake the monkey of music off my back for a long time. Epic fail: the recent events, Armando’s call, my involvement in the Genesis App are just the proof that one can’t escape what he is. There is also a chance that our collaboration goes forward towards different shores, as you will discover in the interview. No matter how one tries, true, deep and honest things always come back. I am not haunted by those days, and I feel privileged to be able to survive doing what I do now. Yet, not publishing this interview would feel unholy: it really contains the root of all that I have become, for better or worse. Moreover, it is also a strong story of photography, post-production, and “those days”. No nostalgia: everything is still alive and kicking, so why looking back when we have the present? 30 minutes into the interview, having a great time. The original interview was made of 18 questions which I sent to Armando on September 8th, 2014. 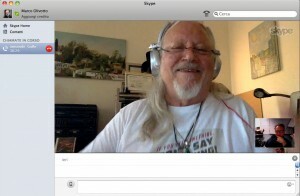 On September 22nd, the App having just been relased, I got a proposal to do the interview on Skype. One hour later we were online: Nogaredo to Los Angeles! It was really a matter of “turn up the signal, wipe out the noise” as Peter Gabriel would put it. The list of questions was trashed in minutes, and we engaged in a 2.5-hour conversation between old friends. Lunatics as we both are, we decided to do it in English rather than Italian. I painstakingly transcribed everything, translated it, and sent it over to Armando for his final approval. He corrected some bits… and finally, here it is. It took a long time, but it was worth the effort. So, what follows is as close to the transcript as possible, and it is so long that I’ve necessarily divided it in sections. You may as well skip those on music, if you’re not really interested: but I suggest and beg you do not. Take your time, for once, because the final message goes far beyond music, photography, post-production and all the things we discussed. It’s about life, and for once, to hell with Photoshop. We have the MOon, though. So, you’re welcome to read on. For a start, click here. Most of all, enjoy the new Genesis App. It’s a must, and it’s free – less the book content which requires a payment. But hey, there’s my music in it, too!